Item # 319059 Stash Points: 9,995 (?) This is the number of points you get in The Zumiez Stash for purchasing this item. Stash points are redeemable for exclusive rewards only available to Zumiez Stash members. To redeem your points check out the rewards catalog on thestash.zumiez.com. 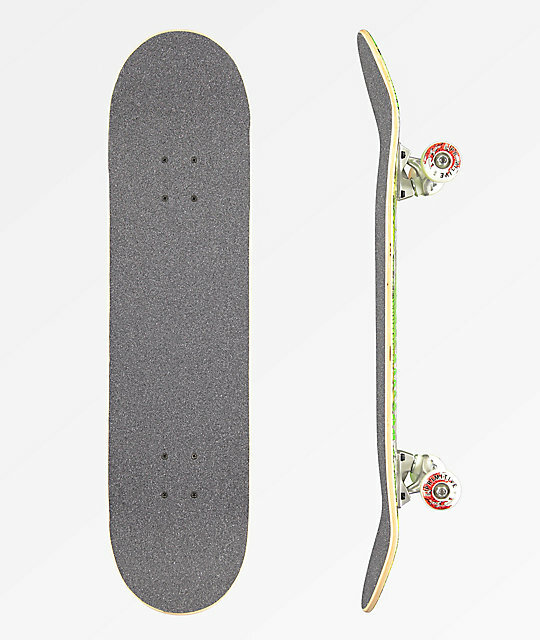 Provide your flip tricks an extra amount of fierce with the Primitive Rodriguez Jungle Cat 7.8" Skateboard Complete. 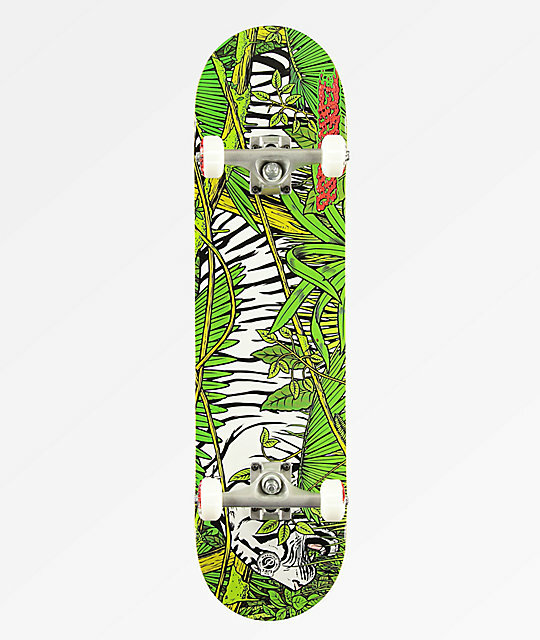 Pre-assembled and ready to shred right out of the box, the Jungle Cat Skateboard comes with 52mm wheels, Abec-7 bearings and an amazing graphic across the underside of a white tiger prowling among jungle brush. Rodriguez Jungle Cat 7.8" Skateboard Complete from Primitive.